It’s the closest you’ll ever get to sitting in the cockpit of a starfighter. 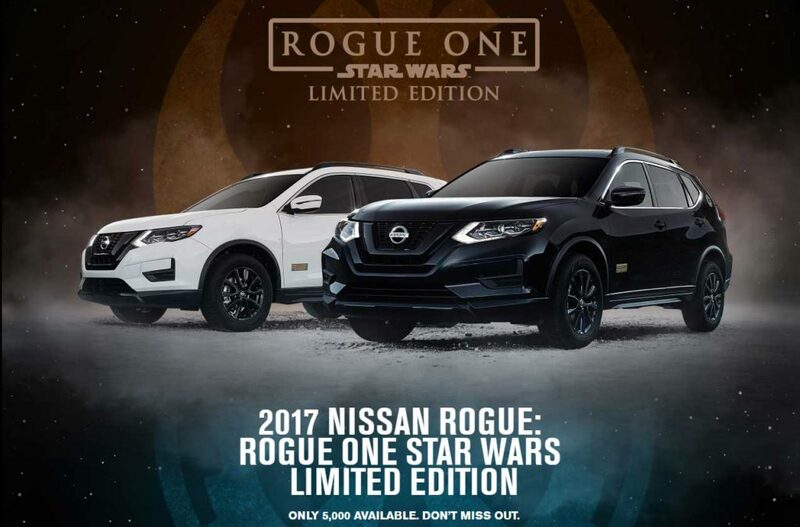 Nissan took iconic design elements of the Star Wars universe and applied them to the interior, and the exterior shows its rebel spirit with exclusive badging on the front row doors. We’re only releasing 5,000 of these, and unlike the Death Star, when these are gone, they won’t be building them again. Pagani Automobili releases a making-of video documentary on the cusp of the much awaited C9′s arrival. One year since its grand unveiling at the 2011 Geneva Motor Show, the Italian manufacturer’s latest and greatest supercar offering is about to hit the roads. The Pagani Huayra has outdone its predecessor – the excellent Zonda on both counts of aesthetics and power boasting a Mercedes-AMG 6.0 liter twin turbo V12 engine that produces over 700 horsepower and 1100Nm of torque, achieving 0-60 mph in 3.2 seconds and a top speed of 235 mph (a commendable jump from the Zonda F Roadster’s 220 mph). This short video shares the inspiration behind Pagani’s latest masterpiece, its development and build process, and expounds on the creative intelligence and artful vision that has contributed to the Huayra’s final design.